That something was aiming at me began to make me with each step more uneasy. Half-transparent cogs gradually began to block my view. Fearful that my last moment was finally at hand. I walked on and kept my neck rigid. As the cogs increased in number, they began also to turn. At the same time the pine wood on my right began to seem as if seen through fine cut glass with the branches quietly intertwining. I felt my heart throbbing and tried many times to pause on the path. 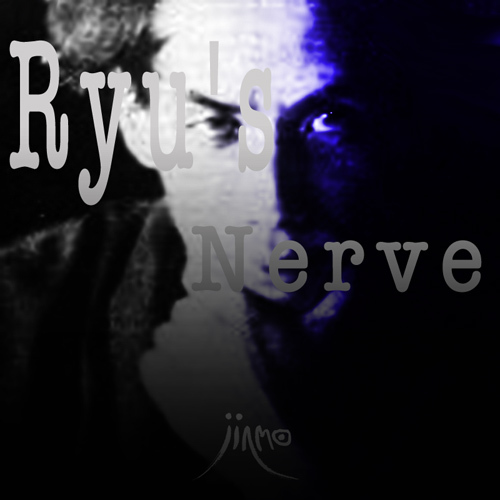 the spirituality (usage of the nerves) from Ryunosuke Akutagawa." committed suicide on the rainy night of July 24th 1927. This work features the theme of the night of the last of his life. The 4 movements are discharging electricity with the pale lights on the boundary-domain between the Eros and the Thanatos. just like gentle touching the bare Nerves in the night rain quietly.